2. Q : Is there a tracking number for my item9 A: Yes, of course. 5. Q : How does your factory do related quality control9 A: Quality is top priority. 6. Q : How about the warranty9 A : Two years warranty for our frames since frames sold. Inspect Level: Not only been strictly tested as per ISO, RoHS, SGS Standard etc, but also ensure proceed 100% self-inspection by tester before its shipment. 1.3. Fast development cycle, combination with Innovate idea of design, customer-driven focus, the best representation of our slogan--"Low carbon, better life" 1.4. Most of worker teammates with over decade experience in carbon industry make us be most proficient and high-grade quality shown, meanwhile, its delivery time shorten. 3.Customers care is our top priority,we will offer best shipment and after sale services to you. 2)If there is a quality problem with the products,please contact us,we will solve it as soon as we get your email. If it is quality problem,when we receive your return,we will repair or exchange it for you. if you do not have the design still, our designer can help you, but you need give me your idea. 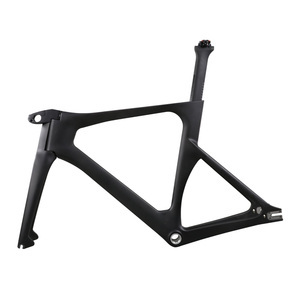 Q:I want a special design bike frames only for me, can you do this9 A:yes, we could manufacture a special mould for you according to your need. 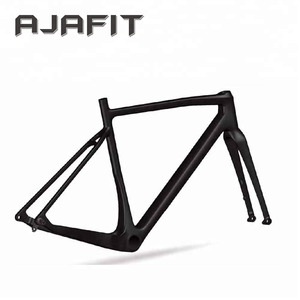 Q:How can I place an order9 A:Please choose the bike frames you want and send inquire to us,we will reply immediately. Tianjin Jikong Darkhorse Bicycle Co., Ltd. Specifications: Material: steel Stem: 25.4mm Weight: 2700g. PARTS 107MM-110MM Company Introduction: wespecialized in exporting bicycle parts, electric bicycles and spare parts. The company adhere to the operation principle of "customer service and products quality is supreme ", cooperating with many Taiwan funded factories who produce brand b icycle parts,supply &ldquo;the high quality bicycle parts one stop purchase settlement" approaches to the clients all over the world. 2) There&rsquo;re over 10 years experience for manufacturing carbon bicycle parts . 3) we advanced the times create the new products regularly to help customer develop the market. 4) Specifically,all our primary products are in accordance with the EN standards . 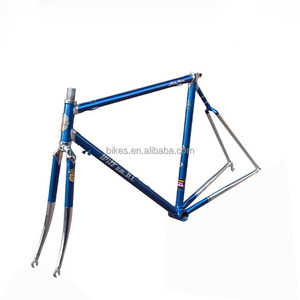 12.Packing :2sets aluminum alloy road bicycle frame into a carton. Customers is reponsable to hanlde the terminal local charges and Custom Clearance. 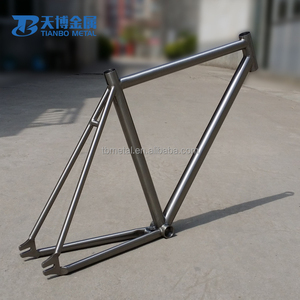 Pieces:2sets aluminum alloy road bicycle frame into a carton. The chief engineer of our R&D Department was once working in Specialized OE carbon frame factory for over 6 years. We are able to make private mould based on 2D or 3D files, so you can have unique products to differentiate from others. Customization We offer customized service, such as customized design, customized painting, customized packing, etc. Titanium is anti corrosion from acid,damp,ultraviolet rays even though it is exposed in the air for a long time without any paint. 4. Impact absorption Titanium frame could absorb impact efficiently from ground when your are pedalling. 5. Fatigue resistance and Anti-wear Not like steel, titanium's property makes it anti-wear and anti-fatigue features. 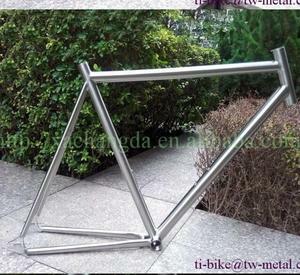 Superior quality aluminum/steel pit track bike frame 26"
Alibaba.com offers 1,789 track bike frame products. About 48% of these are bicycle, 42% are bicycle frame, and 2% are aluminum profiles. 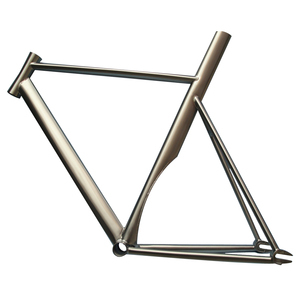 A wide variety of track bike frame options are available to you, such as titanium, carbon, and steel. You can also choose from road bicycles, bmx, and mountain bikes. As well as from no, yes. 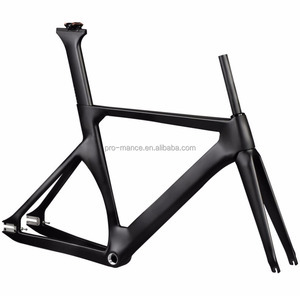 And whether track bike frame is above 60cm, 48 - 52cm, or 40 - 46cm. 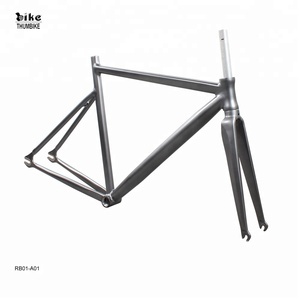 There are 1,817 track bike frame suppliers, mainly located in Asia. The top supplying countries are China (Mainland), Taiwan, and Spain, which supply 98%, 1%, and 1% of track bike frame respectively. 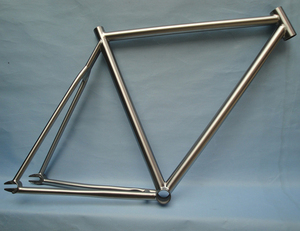 Track bike frame products are most popular in Western Europe, North America, and Eastern Asia. You can ensure product safety by selecting from certified suppliers, including 160 with ISO9001, 66 with Other, and 14 with ISO14001 certification.